Using the same tolerances as our German partners, Giant manufactures this American-made triplex plunger pump. 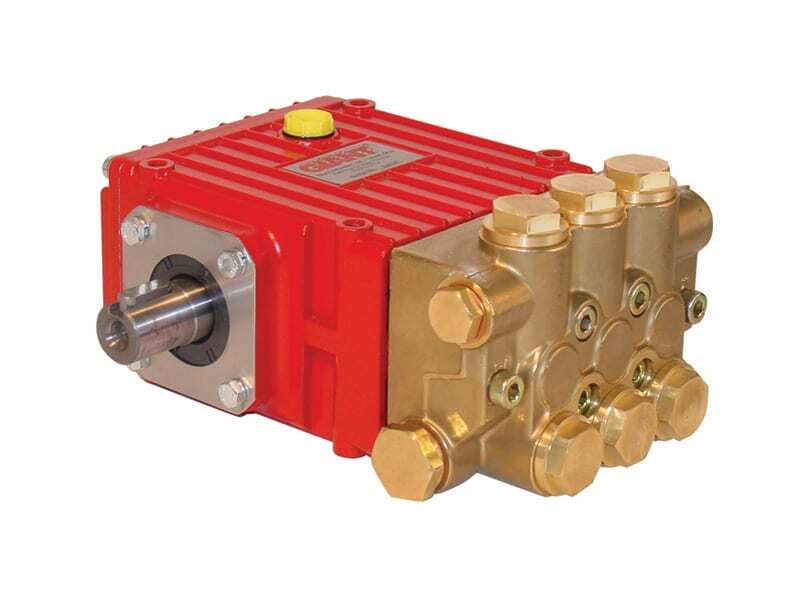 Because of the many unique end-uses for this pump, we offer a variety of accessories to adapt to a multitude of applications. See our P300 selection guide for product offerings. 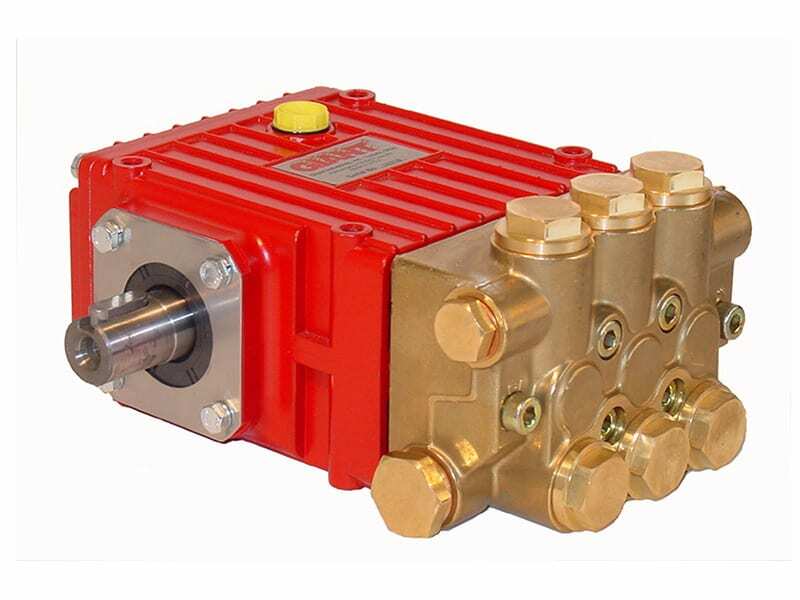 These pumps are made for medium duty applications, but are often used for 10-12 hours on a continuous basis. With a power range up to 10 Hp (7.6 kW), these pumps are used in a variety of applications from sewer jetting, pressure washing, car wash, misting/fogging, dust suppression, odor control, fire suppression, liquid CO₂ and other industrial applications. Flow range is up to 5.8 GPM (22L/min) and pressure range is up to 4,000 PSI (275 Bar). Temperature range is up to 195 °F (90 °C).